THE tournament many of us love to hate returns with the latest edition of the AT&T Pebble Beach Pro-Am. Played over three courses, including the iconic Pebble Beach, it is often hated by dedicated golf fans watching on television because the celebrities who take part mean that rounds take up to six hours to play. At times it can make for excruciating viewing, with players seemingly queueing forever at par threes. And that is without considering the fact that we often have to endure the antics of Bill Murray and somebody called Larry the Cable Guy, as well as a number of Hollywood actors, including Andy Garcia. Dustin Johnson - fresh off winning the Saudi International - won it in 2009 and 2010, and finished runner-up in 2014 and again last year. But he also has a love-hate relationship with the place. After winning the tournament in 2010 he went into the final round of the US Open the same year at the same venue leading the field and was red-hot favourite to land his first major. But he suffered a complete meltdown and the tournament was eventually won by Northern Ireland’s Graeme McDowell. And guess what? The US Open returns to Pebble Beach again this year. In February he had birdied the final hole to defeat former World No 1 David Duval and JB Holmes to successfully defend the title. He continued his love affair with Pebble Beach by shooting rounds of 71-70-66 to take a three-shot lead over McDowell in that year’s US Open. In the last pairing on the final day, the Dustinator was in trouble from the start and never recovered. He shot an 82 and finished tied for eighth. The tournament was won in 2011 by DA Points, in 2012 by Phil Mickelson, in 2013 and 2015 by Brandt Snedeker, in 2014 by Jimmy Walker, in 2016 by Vaughn Taylor, in 2017 by Jordan Spieth and last year by Ted Potter Jr. Potter’s victory was arguably the comeback story of the year. The American left-hander had spent years in the wilderness but came from nowhere to fend off Johnson’s challenge. And Potter did it in some style. The pivotal moment happened when they came to the seventh hole, one of golf’s most famous par threes, Potter Jr. was leading playing partner Johnson by one stroke. They had both missed the green. Johnson went first, his chip finishing six feet from the hole. Potter was next – and his effort found the bottom of the cup, extending his lead to two shots. When Johnson won in 2009 the tournament was reduced to 54 holes due to bad weather. His win in 2010 came despite shooting 74 in the final round. Of the top 25 players in the final leaderboard last year, Johnson’s 72 was higher than all but two players. 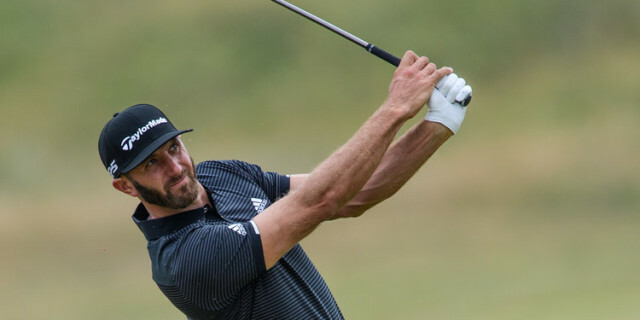 He returns to Pebble Beach after a superb performance at the Saudi International, proving beyond a shadow of a doubt that he is back to his very best and ready to challenge Justin Rose for the World No 1 position again. You would imagine that most of the world’s top players would be using this an an opportunity to use this tournament as a scouting mission for the US Open. You would be wrong. Many of the game’s biggest names will, as usual, sit this one out. 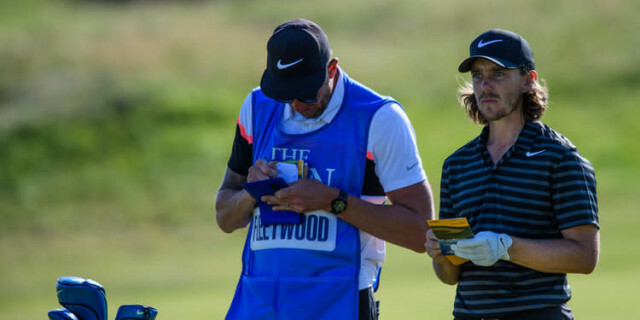 A notable exception is Tommy Fleetwood. The Englishman will be playing an increasing amount of golf in America in 2019 and has made no secret of his desire to win his first major, so he has decided that it is worth travelling to California. And he is not there simply to make up the numbers. An easygoing man, he will almost certainly enjoy the company of his celebrity partner, whoever that may be. And while he will happily join in the banter that goes hand in hand with this event, you can be absolutely certain that he will have his game face on when it matters most. Quite apart from anything else, he wants a first PGA Tour victory - and Pebble Beach should suit his game. Dustin Johnson. How could you not back him?